"Raytheon Company's EASR just took a 12-hour trip down the Eastern Seaboard," the release said on Tuesday. "The six feet by six feet rotating array was wrapped, loaded onto a flatbed truck and eventually crane-lifted onto a 100 foot test tower at the Surface Combat Systems Center at Wallops Island." EASR, the newest sensor in the US Navy's SPY-6 family of radars, recently completed subsystem testing at Raytheon's Near Field Range in Sudbury, Massachusetts. Raytheon noted that the radar will now undergo system-level testing, tracking a variety of aircraft through the end of 2019. 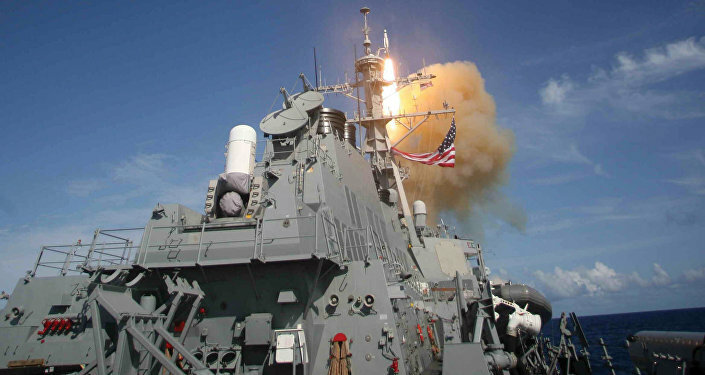 "EASR is the Navy's next generation radar for aircraft carriers and amphibious warfare ships that provides simultaneous anti-air and anti-surface warfare, electronic protection and air traffic control capabilities," Raytheon said. Raytheon is building two variants of EASR: a single-face rotating array designated AN/SPY-6(V)2 for amphibious assault ships and Nimitz class carriers, and a three fixed-face array designated AN/SPY-6(V)3 for Ford class aircraft carriers and future FFG(X) guided missile frigates, the release said.